This adjustable pin key is for use with locknuts on angle grinders when fitting or removing abrasive discs. It is a fully adjustable pin wrench from 15 to 52mm with a pin diameter of 4mm. 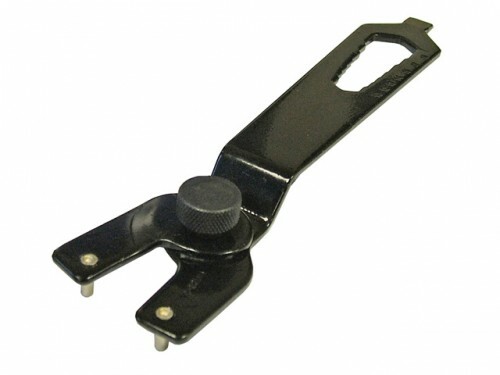 The stepped spanner handle can be used to undo nuts from 10 to 19mm. The FAIPINKEY is an ideal replacement pin wrench for most angle grinders, bench grinders, mitre saws and circular saws.